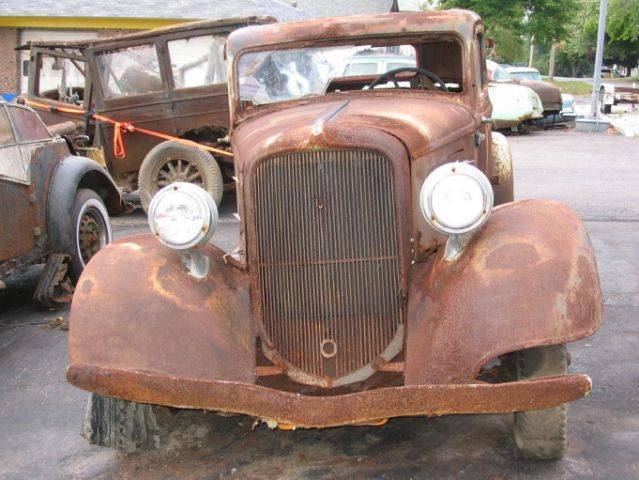 Lot Full of Hopes & Dreams Photo Picture Classic Cars for sale & Classifieds - Buy Sell Classic Car & Classic Truck Classifieds. Same 34 Ply coupe that in the next pic.Some how it looks like it may have been under water at one time? where did they get all these?? hehe, Ive see worse made to museum quality running cars. that first one though would take me almost a year to make into a driving all there car. no,not ruined. you need to see the good in every car! Headlights, glass, dash, roofs, if you can save just one part to be used on someones project, a piece of that car lives on!!! ummm...dumped here and forgotten about...? thats way too funny...and 3 and 4 are the same car...lmao....great comments devon.